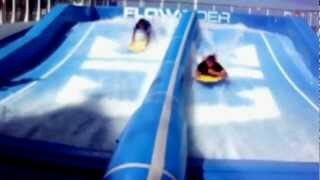 Royal Caribbean - Flowrider on Voyager of The Seas - Best of Utube!!! Youtube Filme, Youtube Music, Dokus, kompletter Film oder ganzer Film. Hier finden Sie die besten Videos auf utube!!!! 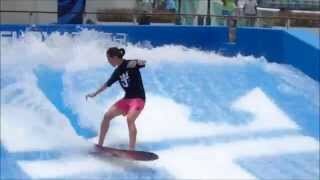 Adventurous guests can try their hand and legs at stand-up surfing, known as flowboarding, or opt for less-balance-demanding body boarding on Royal Caribbean’s FlowRider. 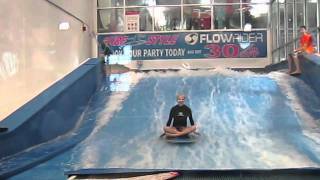 The FlowRider creates a wave-like shape that allows riders to surf against, similar to swimming against a current in a stationary lap pool. When using it for the first time, instructors walk guests through a required safety session with tips for success. 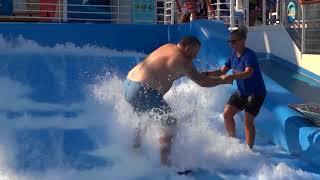 Royal Caribbean also offers private FlowRiding lessons onboard for those that want to really hone the craft, and for those who prefer cheering rather than the challenge, there is also stadium seating for spectators. Our tip: give it a go! 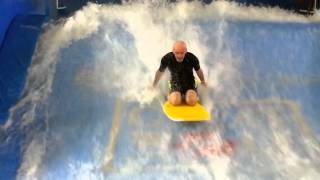 The FlowRider’s made of a composite surface like a trampoline, which provides a cushion to absorb the impact of falls, so it’s a lot less scary than it looks! 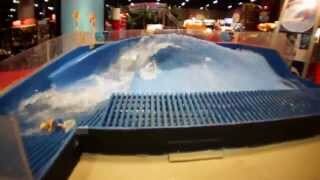 And best news of all, the FlowRider is free for all guests to use (lessons are available for a small charge). At 311m long, 38m wide and with 15 passenger decks, Voyager of the Seas is almost double the size of most ships currently based in the region. 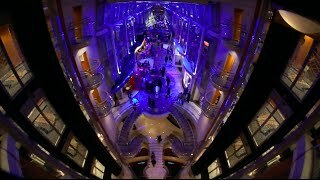 Voyager of the Seas is able to host 3,284 guests at double capacity in her 1,642 staterooms, which is more than the population of Australian towns like Bellingen, NSW and Port Douglas, Queensland. 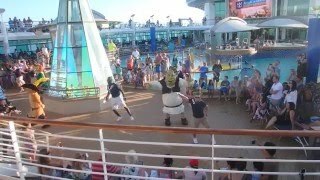 Voyager of the Seas underwent an $US80 million head-to-toe makeover in November 2014 and now offer new features including the regions first and only FlowRider surf rider at sea, new industry first virtual balcony staterooms with real time virtual views, three new specialty restaurants, a giant poolside screen and more. 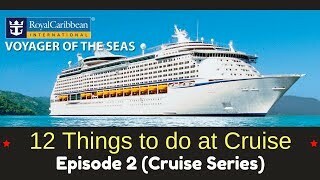 Weekly food preparation (including crew) 105,000 meals Desserts prepared 300,680 per week Appetizers prepared 234,000 per week Consumed in one cruise Beef 9,072 kg Chicken 5,443 kg Pork 2,268 kg Lobster 635 kg Seafood 1,814 kg Salmon 1,134 kg Fresh eggs 28,000 Flour 6,804 kg Sugar 1,850 kg Coffee 680 kg Fresh fruit 15,876 kg Fresh vegetables 29,484 kg Potatoes 8,165 kg Fresh berries 272 kg Ice cream 30,283 litres Milk 5,678 litres Individual yoghurt tubs 4,200 Cheese 2,631 kg Slices of pizza 18,000.